 The BSK diaphragm pump offers high volume delivery even at low air pressure and a broad range of material compatibility options available. 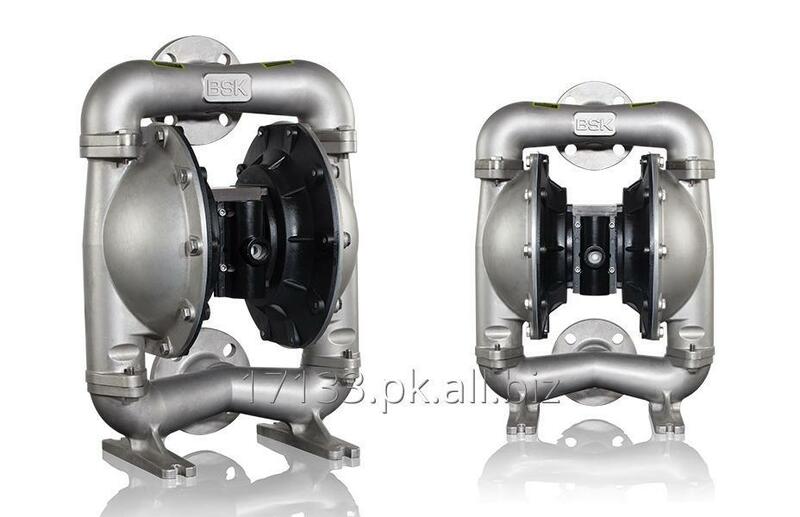 BSK pumps feature stall resistant design, modular air motor / fluid sections.  Air operated double diaphragm pumps utilize a pressure differential in the air chambers to alternately create suction and positive fluid pressure in the fluid chambers, ball checks insure a positive flow of fluid.  device closed) and will resume pumping as needed.